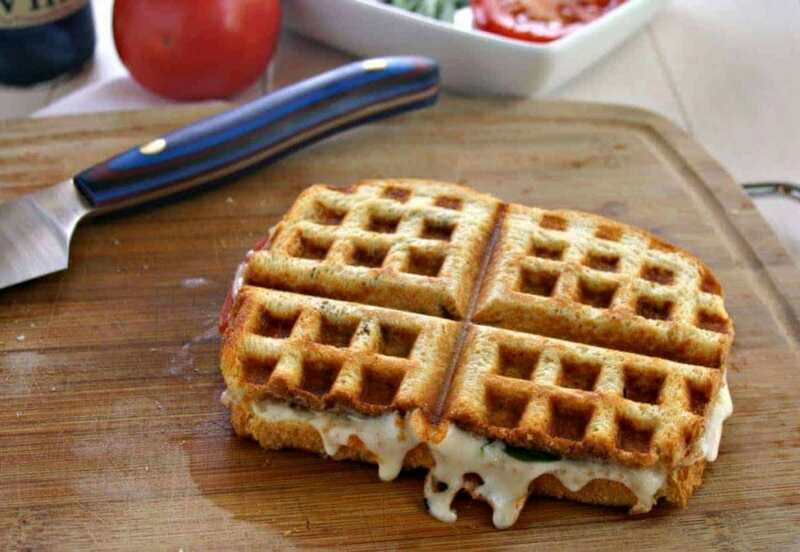 Bruschetta Waffle Panini, a glorified grilled cheese made in a waffle maker with mozzarella, tomatoes, and fresh basil! All you grilled cheese lovers out there, listen up — April 12 is National Grilled Cheese Day! I know you don’t need an official holiday to enjoy a warm, toasty, and melty grilled cheese sandwich, but it is a great excuse for me to share this grown-up — and sophisticated — version that I’m calling a Bruschetta Waffle Panini. I don’t own a panini press, but have found that my old, trusty waffle maker works pretty darn well for this yummy sandwich that’s assembled with mozzarella and Parmesan cheeses, tomato, red onion, fresh basil, and a drizzle of balsamic vinegar. Yes, it is as delicious as it sounds! To use your waffle maker as a panini press, be sure to start with a dense sandwich bread like sourdough. Preheat the waffle maker while you assemble the sandwich. 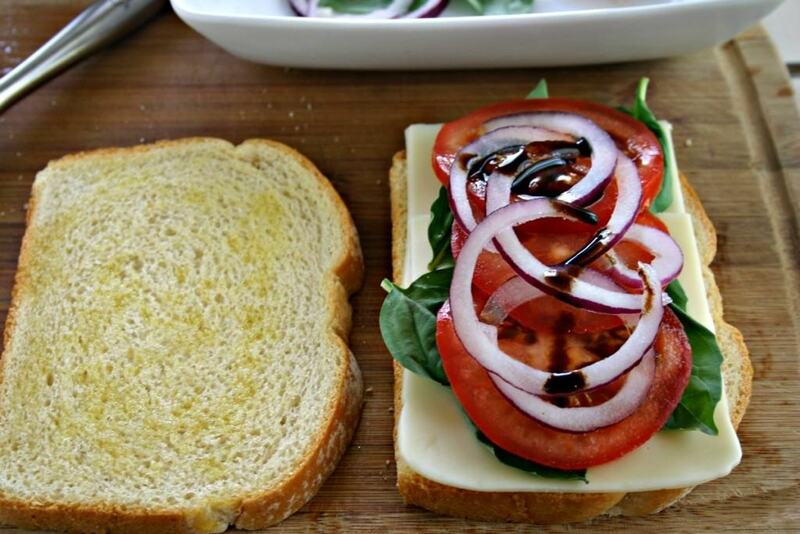 Start by brushing one side of each slice of bread with a little olive oil. Assemble the sandwich by layering a couple of slices of mozzarella cheese on one piece of bread (not the side with the olive oil), then add fresh basil leaves on top of the cheese. Next, add thin slices of tomato and red onion. 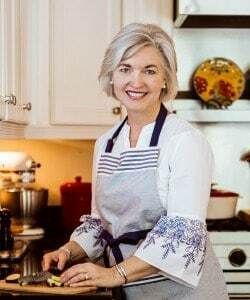 (TIP: To keep the red onion from overpowering the sandwich, place the slices in a bowl of cold water for about five minutes, then drain and pat dry before adding to the sandwich.) Top this off with a drizzle of good balsamic vinegar. 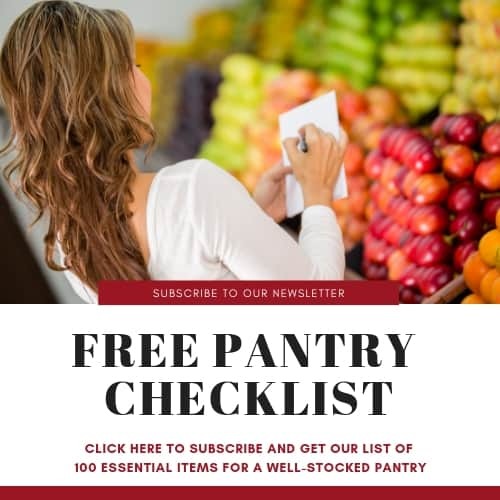 Carefully place the slice of bread with all the layers of goodness on the hot waffle maker, sprinkle with shredded Parmesan cheese and top with the second slice of bread, oiled side up. 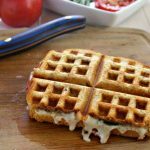 Close the waffle iron and cook until the bread is toasted and the cheese is melty and you’ve got yourself a gourmet sandwich! Happy National Grilled Cheese Day, friends! Preheat waffle iron. Lightly brush olive oil on one side of the bread slices. Slice red onion and place in cold water for five minutes. Drain well. 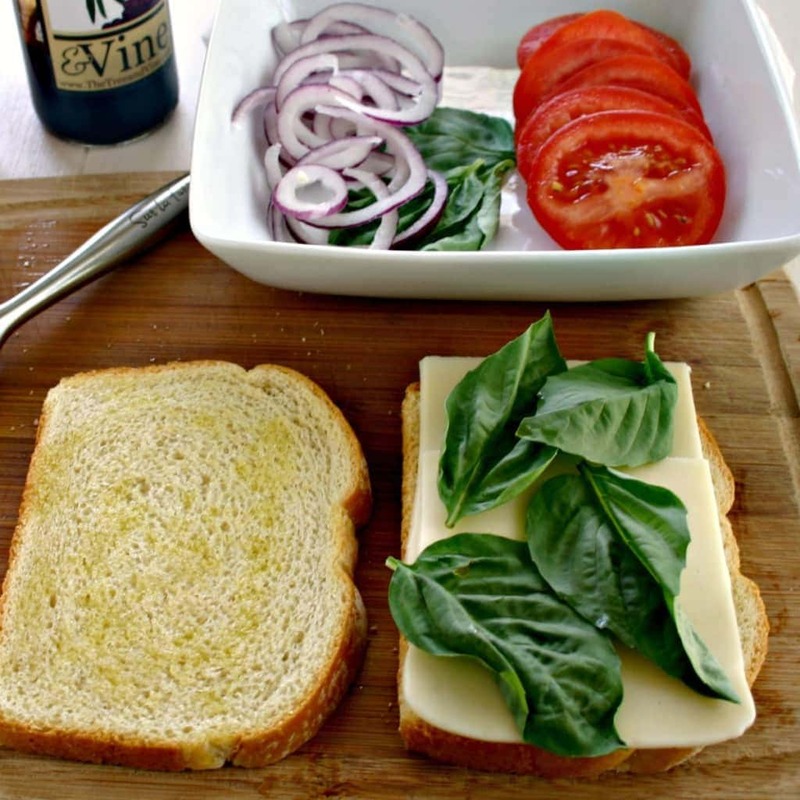 Assemble the sandwiches by layering 2 slices of mozzarella cheese, 3-4 basil leaves, 2-3 slices tomato, and a few pieces of red onion on one slice of bread (not the side with the olive oil). Drizzle with 1 teaspoon balsamic vinegar. Season with salt and pepper to taste. Place the loaded bread slice in the middle of the waffle iron. Sprinkle with 1 tablespoon Parmesan cheese and top with another bread slice, olive oil side up. Close waffle iron lid and cook until lightly toasted and the cheese is melty. If desired, press lid down to compress sandwich while cooking. WOW!! I’m going to need an extra napkin. Swoon. Thanks, Katerina! It is yummy! Yes, yes, one thousand times yes. Waffle-izing the sandwich was absolutely genius, btw. Can’t wait to try this out! Thanks, Karly! I’m pretty pumped about it! I need to be eating this!! I cannot wait to have this for lunch! Meg, it’s definitely perfect for lunch! Enjoy! 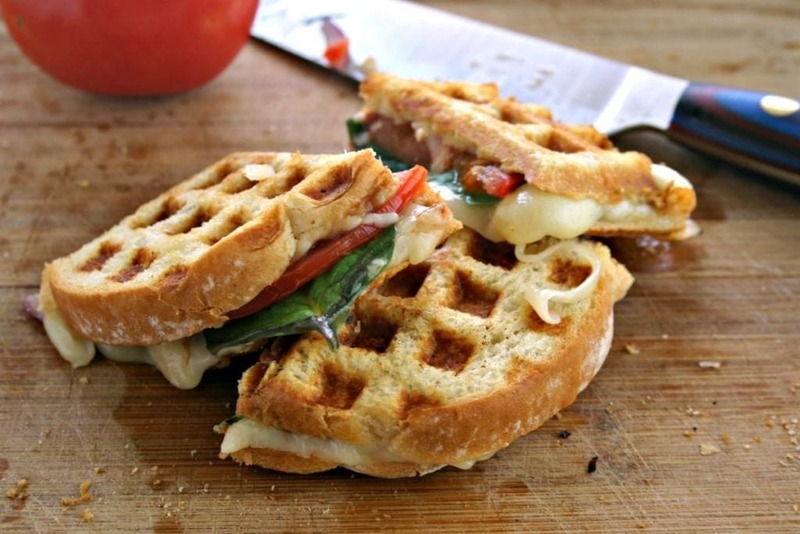 I’ve never tried a Waffle Panini, and this looks amazing!! Can’t wait to make it! Lynne, once you do, you’ll be hooked! I really need to dust off my waffle machine and make these for dinner one night this week. They look incredible! Genius in every conceivable way! How fun! What a great idea, love these!